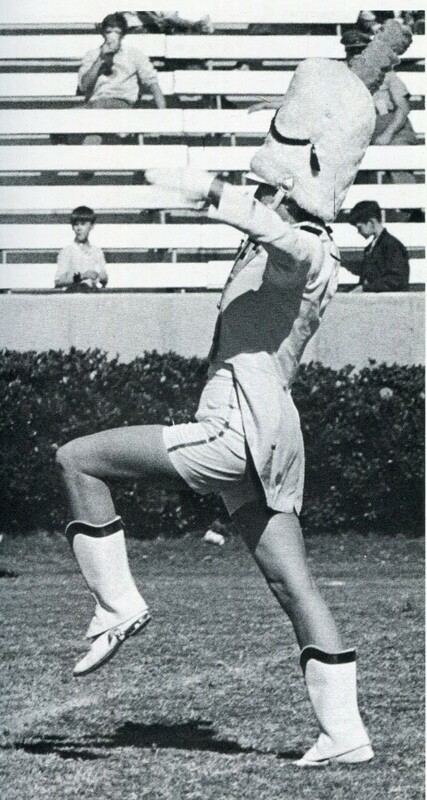 In 1970 when Pam Key (’72) took the football field at Groves Stadium, she wasn’t there as a player or a spectator. Instead, she wore a white uniform, a tall plumed cap and white buckskin boots. And she didn’t actually walk onto the field, she marched. That was the day she made history as the first female drum major for the Wake Forest Marching Band. How she got to that point makes for an interesting story. 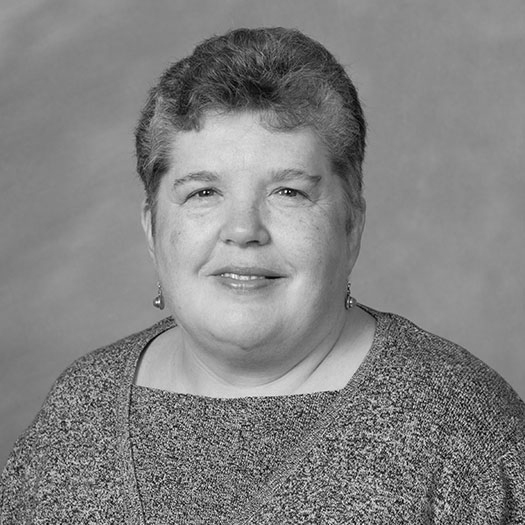 Pam grew up in Bristol, Virginia, where she was drum major in her high school band. 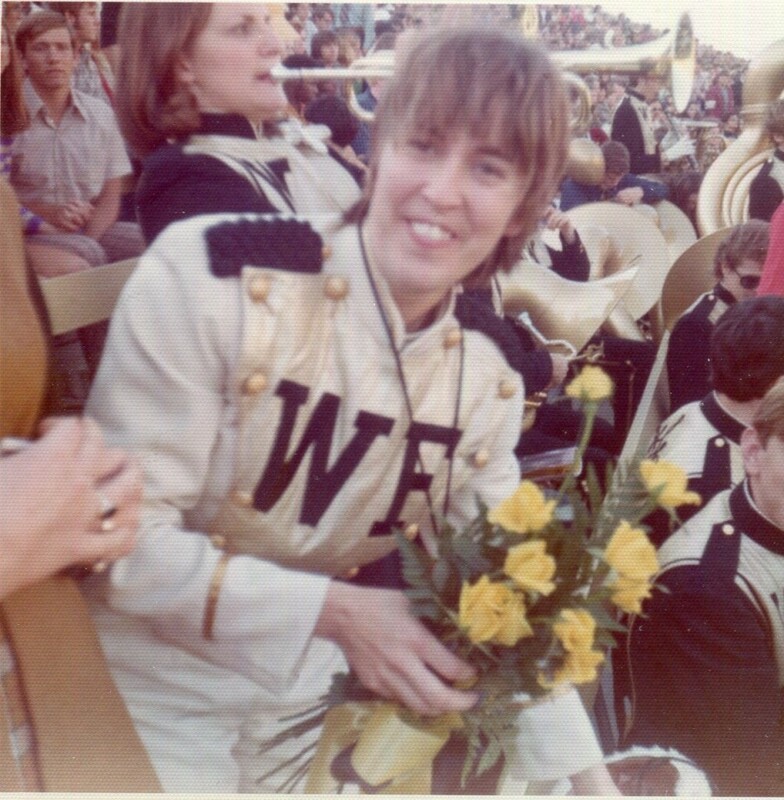 In her sophomore year at Wake Forest she decided to try out for drum major and went to see Professor Calvin Huber, chair of the music department and band director at the time. He was nice, she said, and agreed for her to audition with the band. When the time came a vocal crowd of supporters was in the stands: Pam’s mom/biggest fan; her grandmother and friends from the dorms. Drum major Pam Key leads the marching band in 1970. Huber walked out, looked around and asked incredulously, “Who ARE all these people?” (He would eventually get to know them better.) The tryout commenced and Pam guided the band through its music and field formation using hand and arm signals — accented by the commanding power of a shrill whistle — and not a baton, as her Deacon predecessors had used. Two weeks went by and Pam, the only one to audition, hadn’t heard a decision. Meanwhile her mother/biggest fan, who was in the drive-in concession business, had delivered 50 pounds of raw popcorn and a supply of Reese’s peanut butter cups to Dr. and Mrs. Huber, as well as to Pam’s friends in Babcock Hall. “Dr. Huber finally comes to me and says, ‘Yes, you can be the drum major.’ ” She doesn’t think the delay was because she was the first female but acknowledges it was a big step for the University back then. 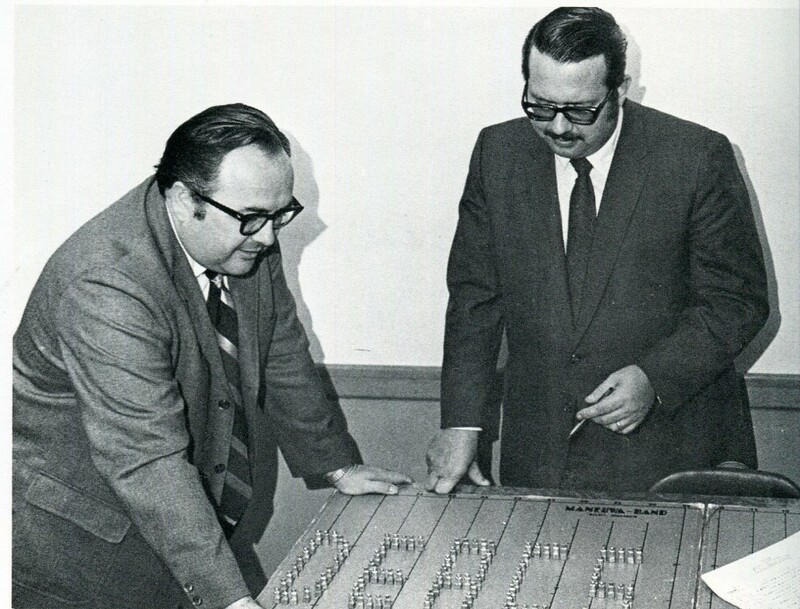 Professor of Music and Band Director Calvin Huber (left). 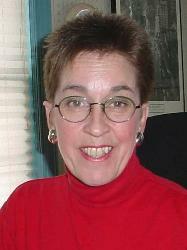 Today Pam Key is a Realtor. As for her uniform, they took the previous drum major’s uniform (he was a “he”) and had a seamstress cut it down to fit a “she.” Long pants transformed into shorts, and she sported a tall plumed cap and flashy white buckskin boots with high spats. In 1970, when Wake Forest won the ACC football title and went on to postseason play in the Houston Astrodome, Pam and others asked Huber if the band could go to the game. There was no travel budget, so band members held car washes, bake sales and even stood on street corners asking for donations. President Scales presented yellow roses to Pam Key at her last game as drum major. She believes the Hubers persuaded the University to contribute funding because the band did hop a plane to Houston, perform at the game and return to campus the same day. Pam recalls that as she left the Astrodome field the opposing band’s drum major approached and gave her an affirming handshake. After her final performance at Groves Stadium in 1971, with her mom/biggest fan in the stands, Wake Forest President James Ralph Scales presented Pam with a bouquet of yellow flowers. “It’s a memory I’ll never forget,” she says. Roses for the bold girl from Bristol who rose to history’s challenge.